Trailhead GPS Reference - N 46°20'33.9" W 60°25'11.2"
Access Information - At the bottom of Kelly's Mountain, turn onto New Campbellton Road. Follow this road until it ends, roughly 15-20 minutes. The trail starts here. Park considerately as space can be limited. The trail is quite rocky in areas with no shortage of roots. 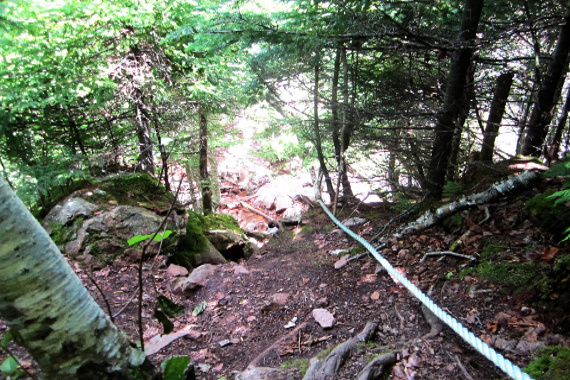 Near the end you will come across a steep descent which you will navigate with the help of some anchored ropes. After traversing the small decent you will find yourself on a lovely beach with a view of the Atlantic and Highlands areas. The cave itself is to the right and can be difficult to access and therefore dangerous. This trail takes you into the Ferry Hole, which is an old cave in a cliff along the shore at the end of the trail. Most say the cave was formed by an underground river some 10,000 – 12,000 years ago, but there are many other stories and legends as well. 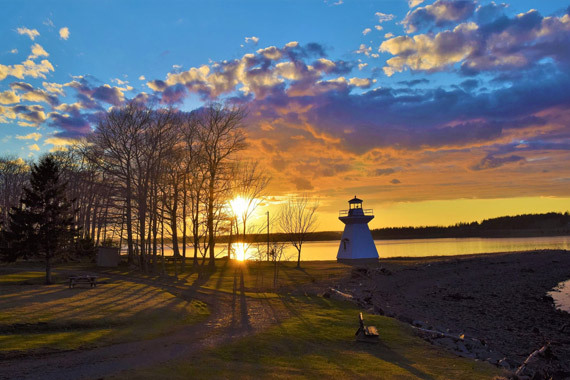 Keep an eye out for a side trail which takes you on a short side trek to a view of Glooscap Islands. Information and photos for this trial were sourced from www.hikecapebreton.ca.